The BBC have confirmed that David Beckham will receive a special ‘lifetime achievement’ bauble at this year’s Sports Personality of the Year ceremony – which is due to take place in Birmingham tomorrow night. “David’s record on and off the pitch has been remarkable. It’s a fitting reward for an outstanding career as a player and for his tireless work as an ambassador for British sport. I’ve got a creeping feeling that it won’t be very long until we have a ‘Sir’ David of Beckinghamshire on our hands. Yet another glaring example of the nations obsession with celebrity ? Because if it’s football related i’m sure there are far more deserving cases for similar recognition. He will definitely be knighted in next ten years. @C and celticdog: You say that like he wasn’t a critical part of United’s first 6 or 7 Premier League titles. You say that like he wasn’t one of the “kids” when Hanson said “you’ll never win anything with kids.” You say that like he didn’t win the Treble. You say that like he didn’t win 90 something caps with England, and 60 of them were as captain. Admittedly the last 20 caps or so were a farce. Admittedly in the last 8 years he’s been used mostly to sell shirts at club level. But he’s won trophies in three different countries, popularized the game in parts of the world that previously didn’t care about it, and has been the face of the UK to much of the world. He did all of this while being a good husband and father. Okay so he’s a celebrity. But he was a hell of a footballer as well. Grant …. I know what your saying, and I dont disagree with much of it. 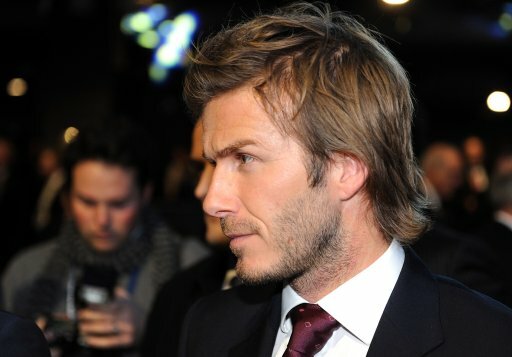 Personally, tbh, i’m just sick to death with all this ‘Brand Beckham’ shite. Just like Grant said, people tend to forget what players were like on the pitch, specially in their prime. Just like saying Henry is just a MLS player who’s a cheat, ignoring that he is one of the best strikers ever, even statistically! About Beckham, one more thing to add, which is his kicking but specially passing technique. It’s absolutely brilliant and unique, and although only right-footed, he as far as I know invented it. Grant, that’s your opinion and you’re most welcome to it. But would the same be said about him if he looked like Luke Chadwick? What a load of rubbish!!! All this blabbering on about what he’s done for his country – well what have we won NOTHING. He doesn’t even live in the country and his only obsession seems to money not passion for playing for his country. There are so many more people deserving of this prize. It’s disgusting!!!! !